Welcome to Freedom Cove, population: 2. 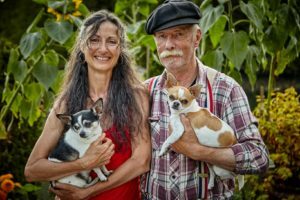 Catherine and Wayne Adams live in their self-built home. It just happens to float. 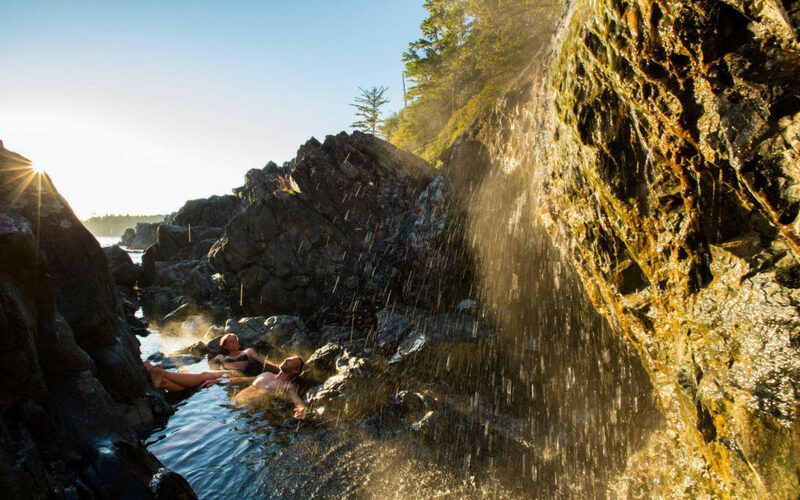 Lucky for us landlubbers, they’re happy to welcome guests who choose to venture their way. This removal from land – and neighbours – evolved gradually as the two artists found themselves wanting to be closer to nature as the muse for their creations. Already living off-grid in 1991, the couple gathered storm-blown wood to return to its owner. When told that the lumber was now theirs, Freedom Cove came to life. The build of their 15-platform floating oasis, which includes a glass-covered fishing hole by the living room sofa, is an ongoing project on living sustainably. All materials used are reclaimed, from the steel docks salvaged from an old fish farm to the masks Wayne adorns with fallen feathers. 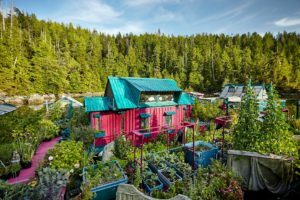 While you may see the couple in Tofino for the odd grocery run, they eat well with seafood and the variety of produce tended to daily by Catherine in her half-acre of gardens. Garlic, cauliflower, strawberries and even apple trees flower in her care. Freedom Cove has captured the collective imagination, with coverage from international news and social media outlets. 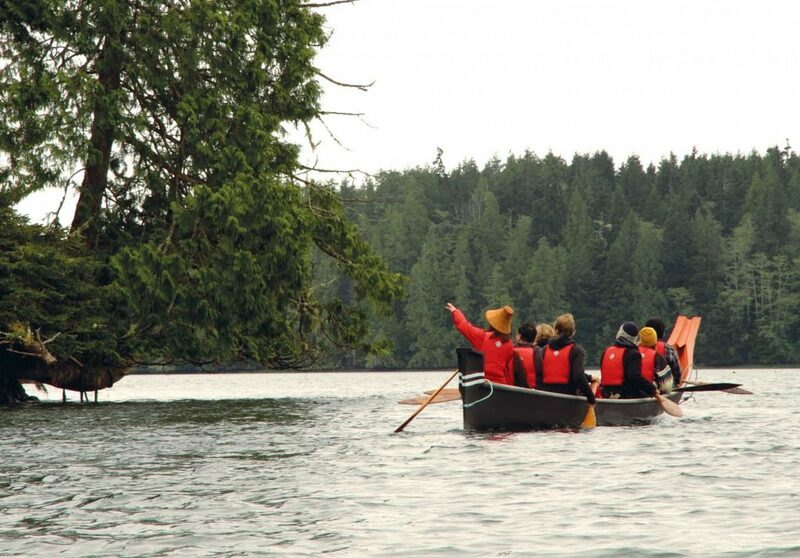 If you choose to experience it in person, getting there by boat or kayak (for the expert paddler), you may just seize the intangible and come away with a fresh perspective. Consider it rebirth, just like Catherine and Wayne do daily.